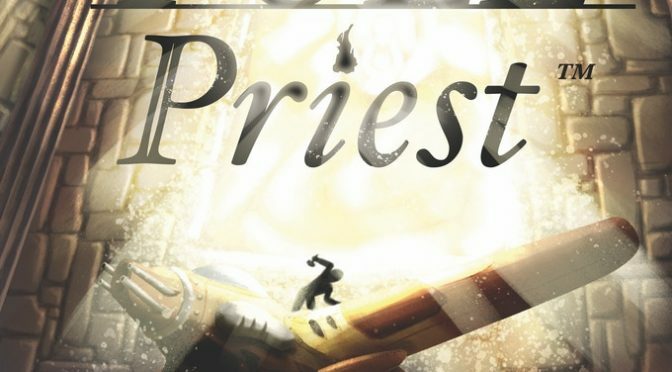 What aspects of other media or games inspired you in the process of creating Fuel Priest? Definitely the concept of paladins, or holy warriors; the game Dogs in the Vinyard plays with the same idea, and I took some inspiration from that. Also the lack of cohesion I saw in other games; I’m talking about ludonarrative dissonance, between the game mechanics and the narrative. The most classic example is Dungeons and Dragons; I think the way it’s being played and the way it’s marketed to be played doesn’t line up with how the mechanics are built. It’s built as a combat game but marketed as a role-playing game. You have all these crazy cool options in combat, but talking to someone is just one die roll. If Fuel Priest was produced as a videogame, what genres do you think would it work well in and why? If I had to pick, you could either do the slow-burn character drama, or the high-flying action game. But I think if you were to translate Fuel Priest into a videogame, you would lose too much to have a cohesive experience. I don’t think this is unique to my game; in the act of turning a table-top game into a videogame, you lose the ability of spontaneity. Every action you take as a player in a videogame is constrained by things that other designers thought of. Imagine you just played an amazing session of Fuel Priest, and give me the highlights. Oh, I don’t have to imagine! In one session someone chased down and flew into a cargo plane, grabbed what they needed and shot their way out the other end. Someone else performed a Miracle, exploded, destroying a giant sandworm and an entire city. One of my favorite moments is when someone misjudged their character’s strength on the ground, so they kicked down a door and got gunned down; they promptly learned how damage works in this game! What do you think is a great asset of yours that you add to the Fuel Priest dev team? I’m very pretty. *sparkles a bit* I’m also just very nitpicky in design. I feel like I’m good at talking to folks and being the token extrovert of the team, sort of representing us physically. What do you hope players will gain or learn by playing Fuel Priest, and how does the game design help with that? I hope that people who play this game will think about the ramifications of monopolies, and will look critically at how modern capitalism doesn’t benefit the working class. On the GM’s side, we provide tools to represent everybody’s struggles realistically and with respect. On the player’s side, in order to represent their lack of resources, the entire game is about resource management- of your own energy, and the materials you have. BLP sends their heartfelt congratulations to Sean and the rest of the Timeless Caverns team, and we’re massively excited to see what they come up with next! Also, as of the time of this writing, there’s still 7 days to back Fuel Priest on Kickstarter! The project’s campaign successfully ends on April 8th.